Helen Pastorino, Founder and CEO of real estate investment firm Pertria, announces that Harry Murray, formerly of J. Rockcliff Realtors, has been appointed as President of Pertria. Harry Murray appointed as President of Pertria. It is rare to receive a second opportunity to work with someone who has maintained the level of integrity and professionalism that Helen has throughout her career and has played such an influential role in the real estate industry. Real estate investment firm Pertria of Los Gatos, California, announces the appointment of Harry Murray as President effective February 7, 2012. Murray, former Vice President of J. Rockcliff Realtors and Manager of the J. Rockcliff Danville office, will play an instrumental role in expanding the company while managing its internal operations. Helen Pastorino, Pertria’s Founder and CEO, will focus on business development, strategic affiliations and Pertria’s vision for the future. Regarding the new position, Mr. Murray said: “It is rare to receive a second opportunity to work with someone who has maintained the level of integrity and professionalism that Helen has throughout her career and has played such an influential role in the real estate industry. I look forward to working with the exceptional team of professionals she has aligned to produce this highly effective model integrating financial, tax, insurance, legal and real estate services”. Murray, a San Francisco Bay Area real estate executive of exceptional notoriety, has worked more than 40 years in real estate with over thirty years of holding positions in executive management. Pastorino and Murray worked together at Fox and Carskadon and then went on to build Alain Pinel Realtors into the successful business it is today. “Harry has built and maintained an astonishing career”, says Pastorino. “He is a true statesman who engages people with the utmost respect, understands the value of relationships and is impeccable in all his dealings. I am incredibly fortunate that he has accepted this position and delight in the idea that we will be working together again”. 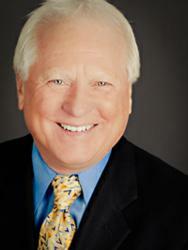 As Vice President of J. Rockcliff Realtors, Murray played a pivotal role in the company’s growth. Before joining Rockcliff, he managed the Fox and Carskadon Los Gatos office for over ten years, acted as the Broker of Record for Alain Pinel Realtors for nearly 17 years and was Vice President and Directing Officer at Intero Real Estate Services. In 2004, Helen Pastorino founded Pertria, representing residential and commercial real estate sales, investment analysis and property management strategically aligned with like-minded financial professionals including certified financial planners, tax advisors, insurance specialists and specialized legal counsel. Pertria recently expanded into the former Zynga Los Gatos office space and is now located at 720 University Avenue, Suite 100, in Los Gatos, California. For more information on Pertria and Helen Pastorino, please visit http://www.pertria.com or call 408-357-7777.